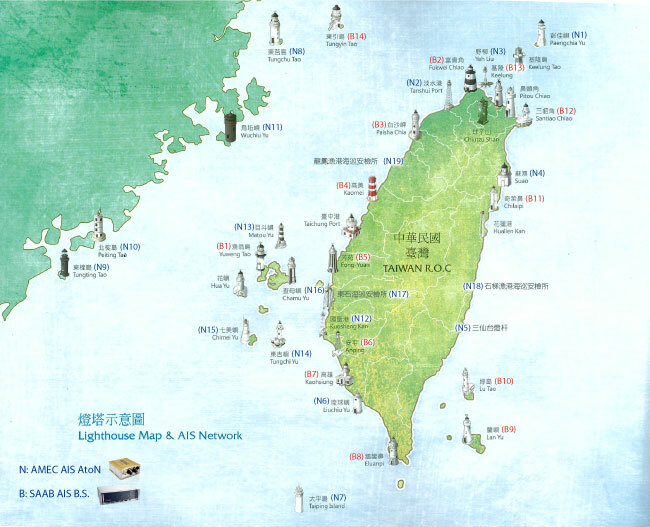 AMEC has successfully completed the nationwide AIS network project in Taiwan. This project consists of 33 AIS shore stations, a sophisticated AIS service management system and networking infrastructure monitoring the nation’s territorial waters and adjacent sea areas, referring to the diagram. With the smooth commissioning of this project, the maritime and port authority in Taiwan now can better manage maritime homeland security, navigational safety and search and rescue missions and provide higher capability and better quality in monitoring vessels within AIS transmission range.